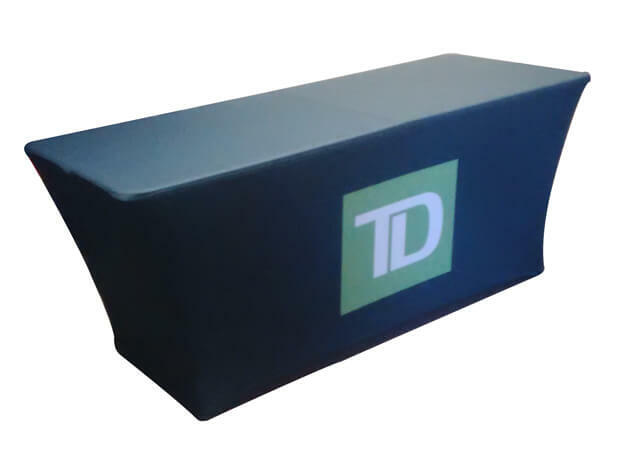 The Stretch Table Cover’s unique contoured design offers a great branding opportunity for any special event or trade show. 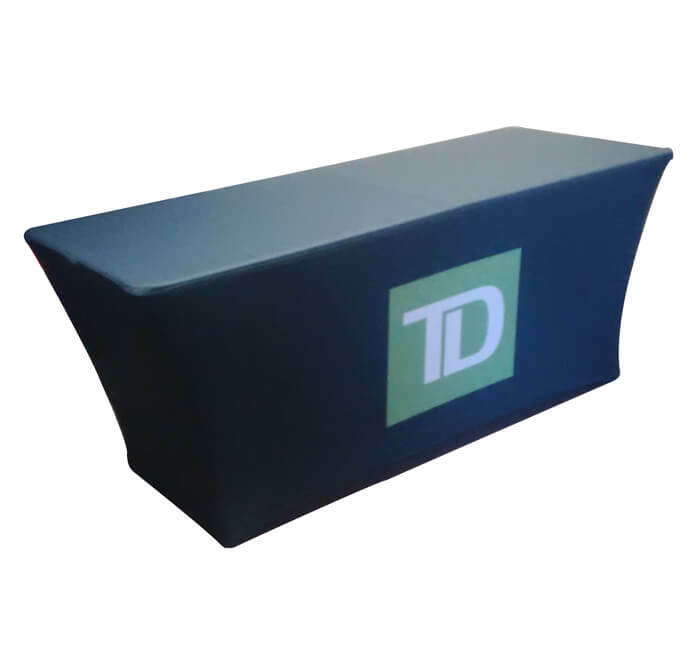 Made of stretch polyester fabric, the Stretch Table Cover doesn’t wrinkle, leaving it intact during the extent of your event. 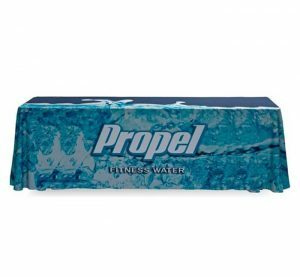 The Stretch Table Cover also stays securely in place, by simply stretching over a portable table and slipping into the feet of the table. 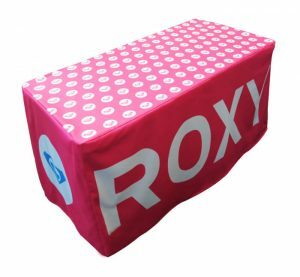 Without clips or pins, the Stretch Table Cover allows you to dress up a table in seconds.